Over the past few years, a phrase I often hear uttered in business has come to bother me a lot – “you guys”. I hear it said in all hands meetings, I read it on blogs and other communication channels between a company and its employees, I hear it in small group conversations. I hear both women and men say it, so it is not necessarily a sexist thing. But to me “guys” means men. And so I think this phase is reinforcing a societal bias in the tech business against women. 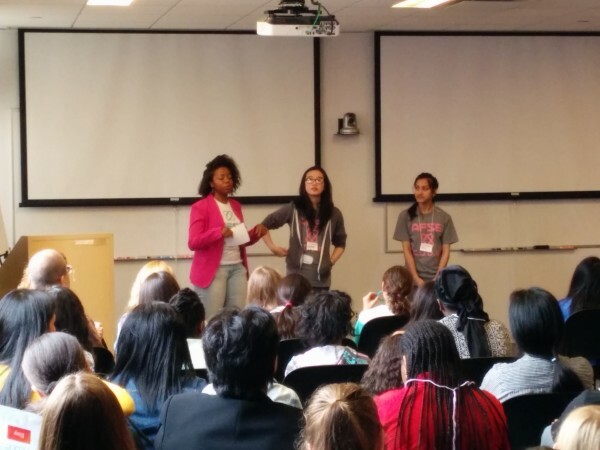 This past saturday I attended a recruiting session for young women to attend The Academy For Software Engineering. As I stood in the back and watched these young women talk about their career aspirations, I thought that we have a good shot at making the tech sector non gender biased in the coming years. And I am excited about. So I have consciously attempted to strike the phrase “you guys” from my vocabulary unless I am, in fact, talking to a group that is all male.